Welcome to Day 1023 of our Wisdom-Trek, and thank you for joining me. Hello, my friend, I am Guthrie Chamberlain, your captain on our journey to increase wisdom and create a living legacy. Thank you for joining us today as we explore wisdom on our 2nd millennium of podcasts. 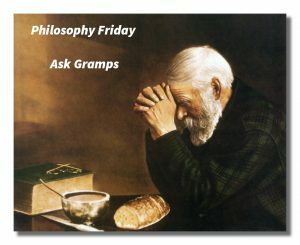 This is Day 1023 of our Trek and time for our Philosophy Friday series. Each Friday we will ponder some of the basic truths and mysteries of life, and how they can impact us in creating our living legacy. We have concluded our deep dive into the nine types which are “The Reformer,” “The Helper,”“The Achiever,” “The Individualist,” “The Investigator,” “The Loyalist,” “The Enthusiast,” “The Challenger,” and “The Peacemaker.” Five weeks ago, we began a series of episodes on Type Combinations, answering the question, “What are the potential relationship benefits and issues with each combination?” Covering all of the 45 different potential type combinations will take several weeks, but will be valuable in understanding each other, regardless of what type you are and what type those with whom you interact with each day are. These two types are more alike than they might appear to be at first. Both are action-oriented and want to have a personal impact on their environment. Both can be sentimental and deeply feeling, with a soft side that is often more hidden than apparent. Both can play the roles of provider, protector, caretaker, and nurturer while avoiding or even denying their own needs. Both tend to overwork themselves, and both tend to be the strong one in relationships (although Twos will tend to do so as the power behind the throne while Eights will tend to clearly be on the throne). Both types bring passion, vitality, interpersonal and social skills, magnanimity, and generosity. The basic emphasis of both types is distinctly different, however, with Twos being primarily interested in the welfare of others while Eights tend to be interested in their physical wellbeing and in having a distinct impact on their world, often with beneficial fallout for others. 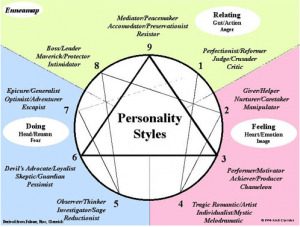 They easily play roles that the other needs and wants: the Eight is practical and concerned with results, whereas the Two is more people-oriented and more openly altruistic. They are both strong willed and like taking on responsibility, as long as they choose it themselves. Eights often bask in the glow of the Twos’ affection and adoration. Twos truly appreciate the Eights’ strength and efforts—and see their often hidden self-sacrifice. Both see each other’s noble qualities and can be each other’s staunchest supporters and admirers. Their roles are also clearly delineated, so they do not get in each other’s way. Each runs different spheres of their lives and covers different bases (one plays the symbolic Mommy, the other the symbolic Daddy, and things are clear and balanced). These qualities make this couple powerful allies who complement each other’s strengths, particularly the good effects they can have on others. Twos and Eights have very different value systems: as noted above, Twos tend to be person oriented, while Eights tend to be practical minded. Their interpersonal styles are also very different, with Twos tending to be more empathetic and indirect and Eights being more direct and independent. 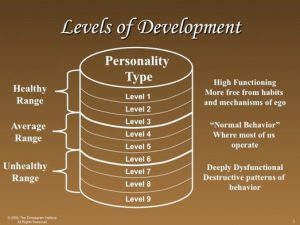 Even average Eights tend to become proud of their resolutely unsentimental way of dealing with people and situations, while average Twos become highly attached to people and overly-solicitous about their needs. Twos tend to see things from the points of view of others, while Eights do not: they see things from the point of view of self-interest, feeling that others need to learn to take care of themselves lest they become weak and ineffectual. Thus, in a relationship, Twos and Eights have very different ideas about where other people fit into the picture, including their own family. Both types tend to move in opposite directions and have increasingly opposing views about how to treat other people. 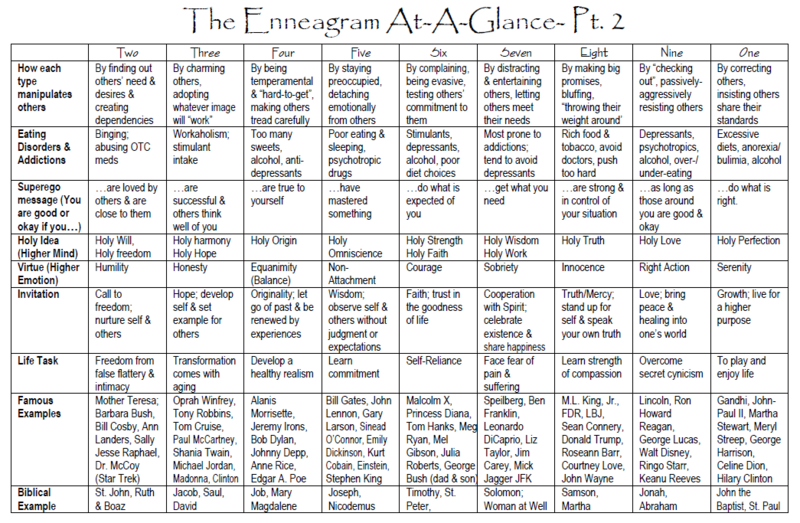 Eights become more hard-hearted and confrontational, while Twos become more possessive and self-sacrificial. Between themselves, they can get into battles with each other about whose philosophy will prevail. 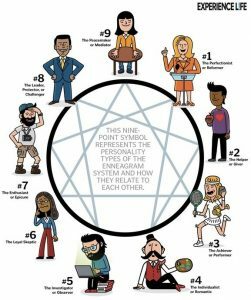 Rather than feel rejected or lose a key relationship, however, Twos can get caught in a codependent relationship with the Eight. The Two can become an apologist for the Eight’s bad behavior, enabling them and thus encouraging Eights to continue with anti-social or self-destructive habits. Thus, this couple might not break up as quickly as some other pairings would although they can drag each other down without seeing their mutual trap. Ultimately, Eights can lose respect for Twos, finding them insincere and manipulative, while Twos lose respect for Eights thinking them to be cruel and domineering. Both can become coarser and more controlling if this continues, with overtones of stalking and paranoia, fears of betrayal, and acts of revenge. 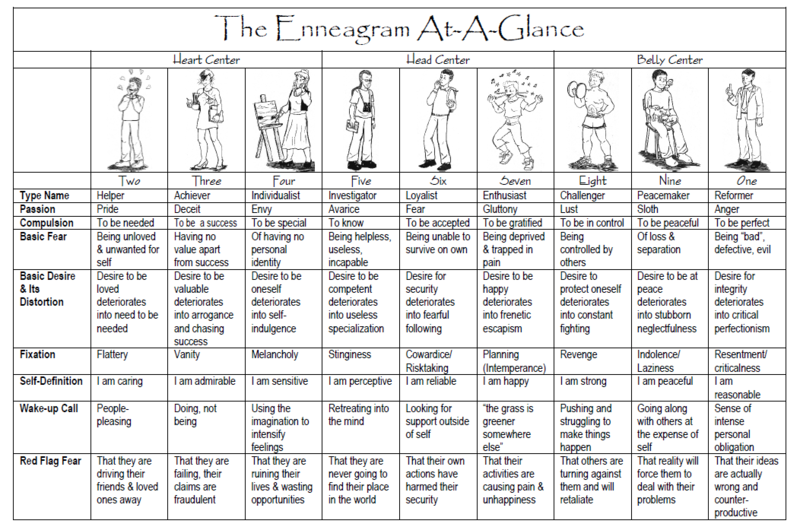 Enneagram Twos and Nines are similar in a wide variety of areas and reactions; both types are interested in nurturing others and in helping people to be better, more comfortable with themselves, and more at peace. Both types also tend to be optimistic and to reframe disappointments in the most positive way possible. This pairing has an outstanding warm, kindly, and good-natured quality about it that each side reinforces. Twos and Nines are easy-going, hospitable, and undemanding, happy to make friends happy and to welcome them into their home. Twos bring to the pair a more outward and interpersonally engaging energy: they would most likely be the first to introduce themselves at a party or to go to someone’s aid and comfort if they perceived that the other person had some kind of problem. Twos are proud of their relationship, their home, their family and their friends—and they want to share them with others. Twos constantly add energy and new people to the relationship mix. They are more talkative than Nines and more openly curious about other people, how they live and what they are like, and are more eager to get involved in others’ lives. On the other hand, Nines bring a quiet steadiness and uncomplicated directness that allows people to flourish and things to get done with a minimum of stress and conflict. Even if Twos become upset about their relationships or are feeling moments of self-doubt about how loved they are, Nines have a way of calming them down and of providing a great deal of unquestioned acceptance. Both types are drawn to each other to provide soothing and support; their home and hearth, pets and love of nature are extremely important to them. Both go out of their way to be considerate of each other, as well as of other people. Much of their best communication is non-verbal, physical, arising from their simple, direct presence to each other. They can develop almost a psychic link with each other. This is a very mellow couple, whose emphasis on hospitality reminds people of how healing it is to be around loving, generous people. Both Twos and Nines tend to give away their power and to go along with the agendas of others. Yet, one of the parties will have to wear the pants in the family, taking charge and making decisions. Doing so goes against the grain of both types although either will take charge if necessary. However, negotiating power and decision making in a Two/Nine couple puts both parties under increasing stress, and both tend to feel that they are being forced into the bad guy role in the family, and that they will be resented and unloved while their partner gets off the hook. Further, neither finds it easy to talk about their feelings or their growing discontent with the power balance in the relationship or with any other sources of resentment and potential conflicts that they may have. Twos tend to actually take over too much, becoming domineering and controlling, not hesitating to boss the Nine around and to speak with surprising harshness to him or her. But because Twos can rationalize their motives and see themselves only as all loving, they can continue without feeling guilty or embarrassed. Nines find it difficult to find their own voice and to speak up for themselves. But when the Nine actually does speak up, the Two often takes this as a lack of gratitude and tries to turn the Nine’s comments around on them. Twos are not good at taking criticism, and when Nines find the courage to speak up, they may go overboard with a load of old resentments that have piled up. The result is that Nines withdraw into silence and become passive-aggressive as a way of dealing with their anger, while Twos feel unappreciated, misunderstood, and rejected. Both try to keep everything quiet and normal on the surface although they begin to deteriorate into longer silences with each other and more distance, including less physical contact. An air of tension takes over, punctuated by angry outbursts and recriminations. The couple that seems so unassuming and supportive tends to end through attrition and drifting apart. Nobody wants to talk about what has really happened, nobody wants to take responsibility for the deterioration of the relationship, and things eventually simply fall apart. 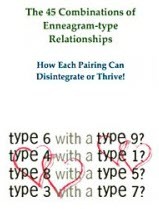 As with all double-type relationships, two Enneagram Threes generally bring the same qualities to each other. Therein lies both a main source of the attraction as well as one of the main pitfalls. Thus, the level of health of each person is especially important for these types of relationships as are their dominant instincts. Two Threes bring to each other a concern for achievement and excellence, for making something of themselves and their opportunities, and for being a credit to the relationship. They are both hard workers, always looking for a way to improve their station in life and to share these benefits with their loved ones and friends. Threes also tend to be sociable and to enjoy the company of others. They have the ability to charm others and present themselves in a favorable, attractive light—even to their spouse or close friends. Some Threes are less sociable and more concerned with business matters and with gaining financial security, but they too, want both themselves and their relationship to be admirable and outstanding in some way. They may be known for their closeness or personal devotion or the longevity of the relationship itself. Both Threes can form an extremely effective team that is likely to be successful in virtually any endeavor they might pursue. They are able to coordinate tasks at home or in the office, becoming a working team supporting each other. They each want the other to be proud of them and to be admired by the other as a worthy partner. They both try to avoid drama in the relationship, and they give each other space to pursue their own interests and self-development. Double Three couples are usually excellent motivators of each other, urging the other to higher achievement and to attaining their goals, whether in child-rearing, education, or sports and physical fitness. They can act as the coach of the other, helping the partner to improve their technique and hone their professional and personal skills. What they demand of each other is respect for their achievements and for their hard work. Thus, in many ways, two Threes can make an impression on others of being virtually an ideal couple—attractive, energetic, ambitious, focused, and often outstanding members of their social group. As long as a Three couple is healthy, they both tend to be highly supportive of each other and the other’s interests and career. They are glad for the success and prestige that their spouse may garner. Problems may arise in average to lower-functioning Three couples if they begin to compare themselves with each other. 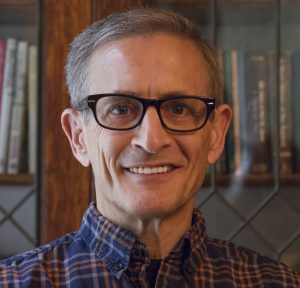 An unhealthy spirit of competition and one-upmanship can infect the relationship and undermine the pride and generosity they have felt toward each other. Even if they have different careers, two Threes may begin to compare their relative success, their incomes, how well each is regarded professionally—and what their relative chances for advancement are. One partner being elected to a committee or board of directors puts pressure on the other to do something similar or even more prestigious. Further, one or both of the Threes may begin to feel that the relationship is taking time away from their own career and their own pursuit of success. One may feel that they are sacrificing their career potential for the sake of keeping the relationship together while the other is getting ahead at their expense. Children, pets, family members, and friends may also suffer varying degrees of neglect as the double Three couple puts energy into their professional advancement, putting ever longer hours in at the office or on the road. 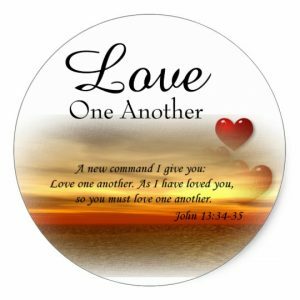 One of the biggest issues for double Three couples is that neither is particularly aware of their real feelings or their own heart’s desire. They also typically do not know how to talk about their deepest feelings, and so they most often do not. They often experience feelings as distractions from their professional work, as well as potential sources of shame and humiliation. Thus, they tend to become more isolated in the relationship as intimacy wanes. They can still be trophies for each other, but double Three pairings come to not know how to talk with each other about what is really going on for them. Eventually, isolation leads to alienation and depression which can lead to drifting apart or to affairs that end the relationship. 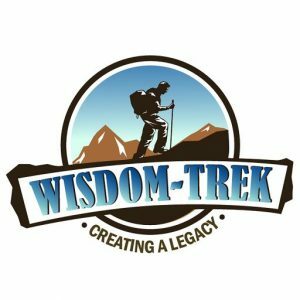 If you would like to listen to any of the past 1022 daily treks or read the associated journals, they are all available at Wisdom-Trek.com. I encourage you to subscribe to Wisdom-Trek on your favorite podcast player so each day will be downloaded to you automatically.